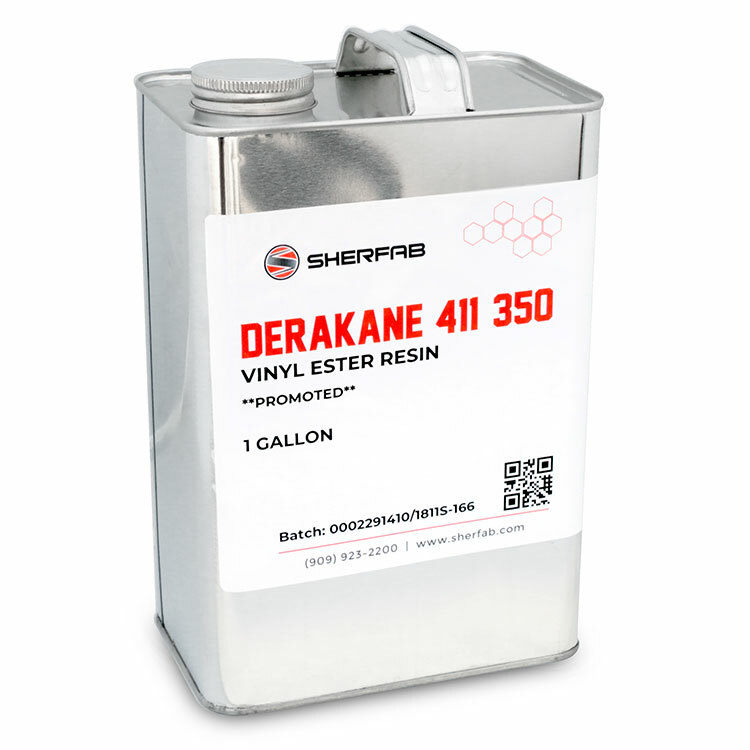 Description: A vinyl ester laminating resin that is corrosion resistant to a wide range of acid, alkalis, bleaches, solvents, and organic compounds. 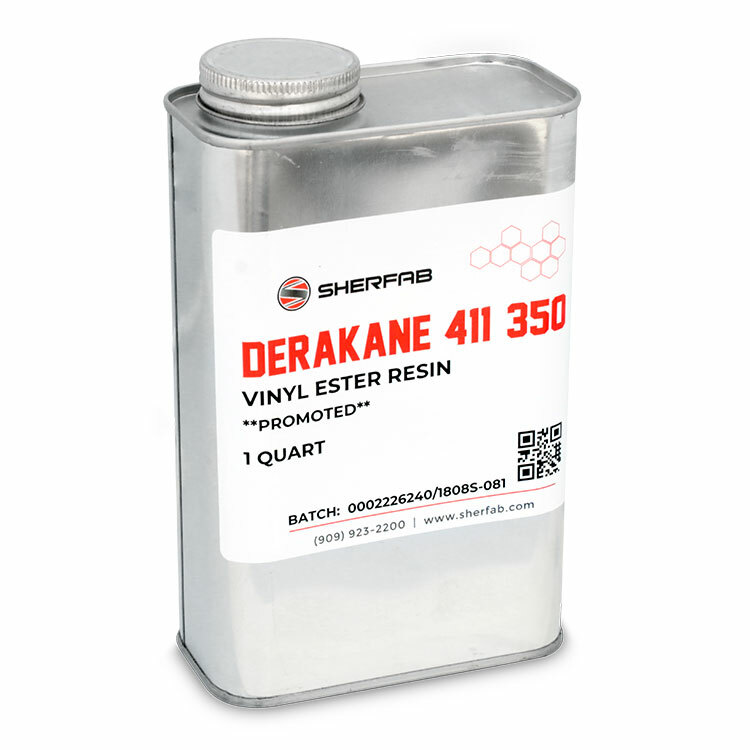 The light color of the resin makes defects easier to see and correct while the resin is still workable. 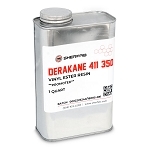 This 411-350 resin tolerates heavy design loads without causing failure due to resin damage. 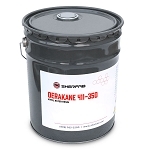 It also offers superior elongation and toughness that provides FRP equipment with better impact resistance and less cracking due to cyclic temperature, pressure fluctuations, and mechanical shocks providing a safety factor against damage during process upsets or during shipping installation. Manufactured by Ashland. 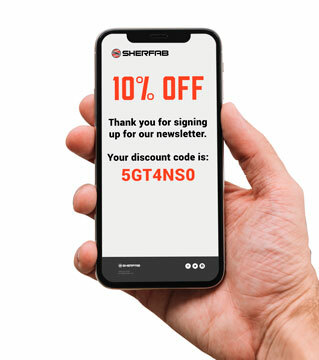 THIS PRODUCT WILL BE PROMOTED PRIOR TO SHIPPING UNLESS SPECIFICALLY REQUESTED UNPROMOTED IN ORDER COMMENTS.